A former Comptroller-General of the Nigeria Customs Service, Alhaji Abdullahi Dikko, has returned N1,040,000, 000 to the Federal Government, The PUNCH has learnt. The funds were allegedly drawn from proceeds of the seven per cent cost of collection and one per cent comprehensive import supervision scheme. He was subsequently arrested by the EFCC in June this year but was released due to his poor health. However, a reliable source within the EFCC told our correspondent that the suspect had been returning money to the government. The EFCC had, earlier in the year, seized a mansion belonging to Dikko located at 1 Audu Ogbeh Street, Jabi, Abuja. According to the EFCC, the mansion is worth at least N2bn. 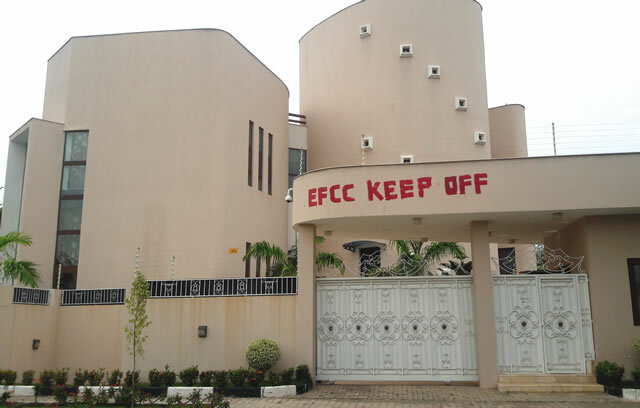 Our correspondent, who visited the property, observed the inscription, ‘EFCC, Keep Off!’ painted all over the fence. A source in the commission said, “The EFCC Act Section 71 (b) gives us the power to commence investigations into the property of any person if it appears to the EFCC that the person’s lifestyle and extent of properties are not justified by law. “Section 28 says concerning those arrested under the Act, the commission will immediately trace and attach all the assets and seizures of such a person which have been acquired. “Section 29 permits the assets of a person arrested under Section 28 to be seized by the state. The ex-Customs CG is also believed to own properties in Dubai and in Katsina, his home state.